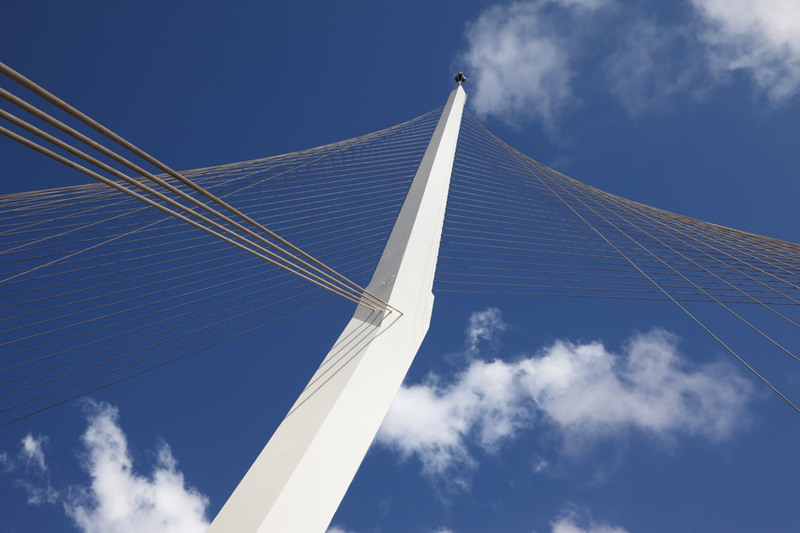 Number three in our bridge-themed A-Zdvent calendar is the Jerusalem Chords Bridge by Spanish architect and engineer Santiago Calatrava, which is developed to look a giant harp. 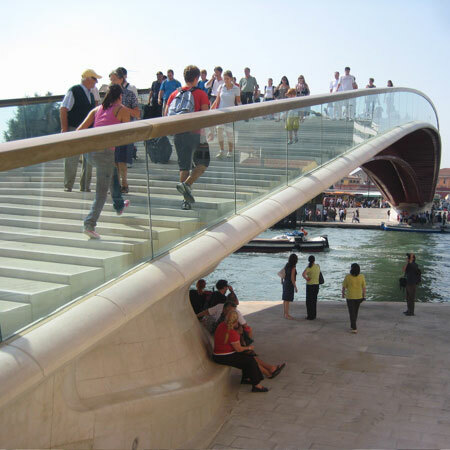 Calatrava has made above forty bridges in his occupation, but the Chords Bridge was the first to carry each trains and pedestrians. 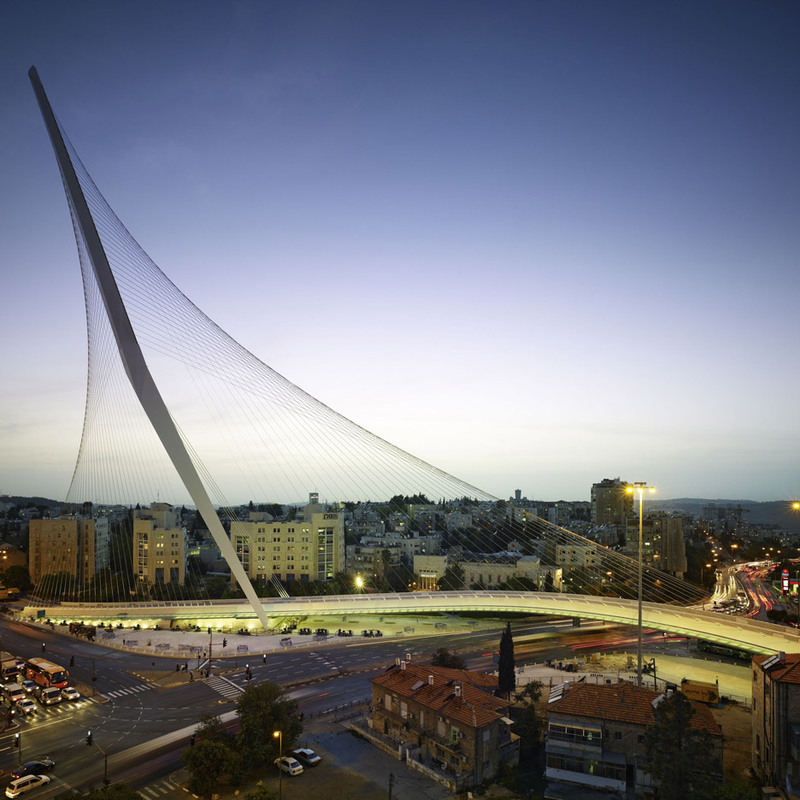 Finished in 2008, it stretches above a hectic traffic intersection in the north of the Israeli city. The structure’s most striking function is a 188-metre-high pylon that cantilevers out at an angle to provide assistance for the 66 steel cables that hold up the bridge’s 360-metre-prolonged deck. The type is reminiscent of some of Calatrava’s other cable-stayed bridges, particularly the Puente del Alamillo in Seville, the Trinity Footbridge in Manchester and the Katehaki Pedestrian Bridge in Athens. 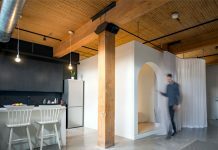 The result is a streamlined construction that points in direction of the city centre, but also seems to be like it could topple at any moment. The architect claimed the form was inspired by the Harp of David, also recognized as the Kinnor Harp – the musical instrument played by the legendary biblical figure King David – providing a new symbol for the holy city. It is also recognized by the title Bridge of Strings. Writing for Time magazine at the time of completion, critic David Kaufman described the bridge as one of the city’s most important architectural structures. 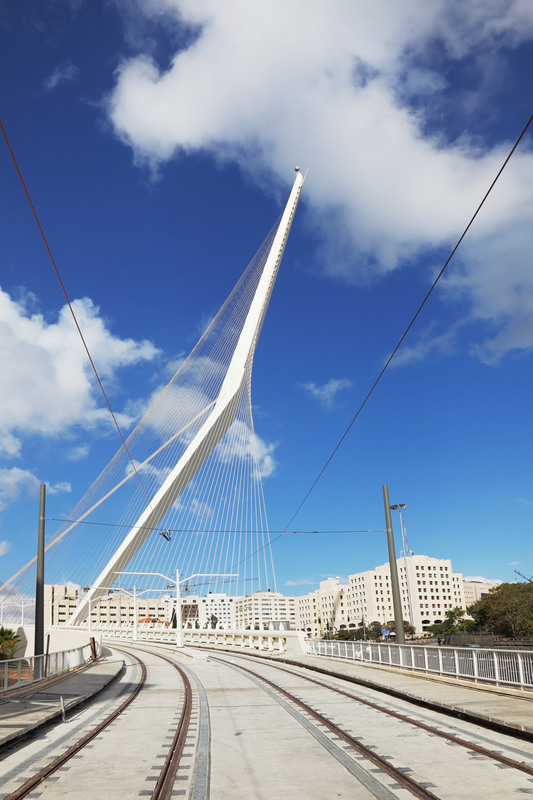 Chords Bridge was commissioned as portion of the Jerusalem Light Rail mass transit technique undertaking, which started in 1999. It is positioned near the city’s central bus station, and carries Red Line trains across the junction of Jaffa Road and Herzl Boulevard. It has a gently curving S-shaped form, with the glass-walled pedestrian pathway incorporated into one particular side. 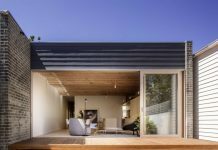 The majority of the exterior is clad in pale Jerusalem stone, contrasting with the contemporary steel and concrete specifics. A public plaza was developed underneath. In the spirit of an advent calendar, Dezeen will publish one more bridge each and every day till Christmas. Letter A was Japan’s Akashi Kaikyō Bridge, the world’s longest suspension bridge, while B was Frank Gehry’s serpentine construction in Chicago.